This is an infusion rather than a true tea. Add honey for a twist. The benefits of drinking this infusion are credible, the blend has been used in medicinal practices for more than 2000 years. It boosts energy circulation in your body as well enhancing your metabolic rate. It is also considered a natural solution to hair loss. This lemon and ginger infusion is a great way to relax when it’s cold outside and there’s nothing you want more than a nice warm drink. Below we give you some great ideas about how you can accompany your new drink with an additional snack so you can really bring out the flavours. There’s many ways to drink your tea and these can work for everyone. Whether you have a sweet tooth or just want something savoury to go with it. We also give you just a few of the health benefits that many scientists have claimed to be prevalent when drinking lemon and ginger infused water on a regular basis. The health benefit speak for themselves s keep reading. 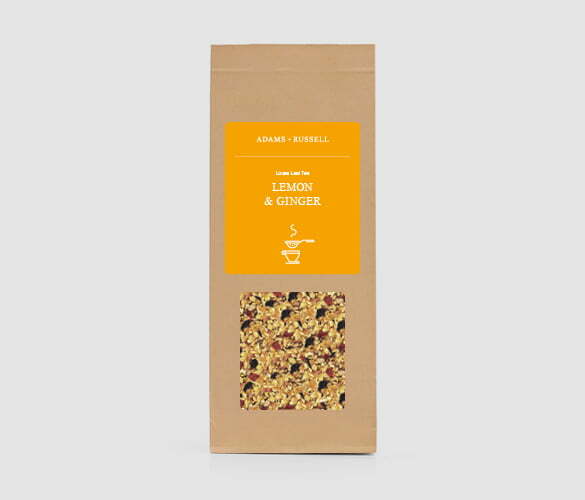 What goes well with your lemon and ginger tea? Our favourite and most popular choice is easily the most simple. Add honey to your lemon and ginger drink to give it a touch of sweetness. Many people think that adding honey to tea or coffee can prevent them from getting a cold when the winter draws in. So go ahead, try it for yourself. Now this might seem way over the top, but for those who just cant get enough of lemon and ginger, what better way to enhance the flavour with some home made comforting cake. If you don’t want to counteract the health beenfits you’re already getting by eating cake, then try accompanying your tea with a piece of healthy fruit. For example, a plum or sweet orange can work great for balancing out the flavours. Adding cucumber to the water will give your tea a completely different feel. Try and leave the cucumber in for a longer period of time to really bring out the flavours. Often you first choose your food and then which drink goes well. But how about choosing your drink first and then deciding what to have with it. A sesame crusted salmon can work wonders with a lemon and ginger tea because the salt and light taste of the salmon will significantly complement the flavours from the tea. Have you ever felt nauseous or had true sense of indigestions. Well look no further than lemon and ginger. It also helps with travelling, particularly on boats where there’s a chance of being sea sick. A daily supplement of this tea can have significant impacts on the effects of diabetes. And on a lighter note, it’s said to help improve your skin, while growing more hair – particularly useful for people with hair loss challenges. These days, we struggle to get away from the weight loss promotion of both tea and fresh coffee but the lemon and ginger infusion is believed to have an impact on your blood sugar levels which reduces the want or craving for carbohydrates. Has lemon and ginger helped you in any way? We’d love to hear about it, just write your review on the reviews tab. So how can you make your tea with an everyday cafe ole teapot? First you need a heaped teaspoon of leaves to add to the teapot. As soon as the water is boiled, pour it into the teapot. Then let the drink brew for 3-4 minutes so you can really extract the flavours. Don’t be too impatient, the longer you leave it, the better the drink will taste. We drink a lot of fruit teas – mostly Twinings – and my favourite, having gone through the whole range is Lemon & Ginger. Since I drink close to a gallon a day (I am also a marathon runner and sweat a lot) I was looking for a somewhat cheaper ‘bulk’ option. The Adams & Russell order (we also went for the Red Berry) arrived very promptly. The tea isn’t a finely ground tea like the Twinings bags, but consists of larger lumps. Adding 90 degree C water (from a ‘boiling’ water tap) yields a good strong lemon scent reminiscent of that from a Lemon drizzle cake. The tea is cloudier than the Twinings equivalent but not unpleasant in look. The taste is overwhelmingly lemon, in fact I would be hard pushed to pick out any ginger at all. There is a good sourness to the taste with a hint of bitter and possibly a little ‘heat’ which may be the ginger. There is also a slight ‘tea’ flavour, more than from the Twinings fruit range. It is makes a reasonable drink, and if sold as a Lemon Tea I would rate it as 4 stars, but as a Lemon and Ginger blend it is a bit disappointing. In terms of value for money my guess is that it is slightly cheaper than the Twinings offering but not as the pounds per gram analysis might suggest since it requires a fair old dose to get a good flavour. So, good as a Lemon drink with the mildest hint of ginger.